I've been using the Fitbit Alta for about 2 weeks now and its amazing! 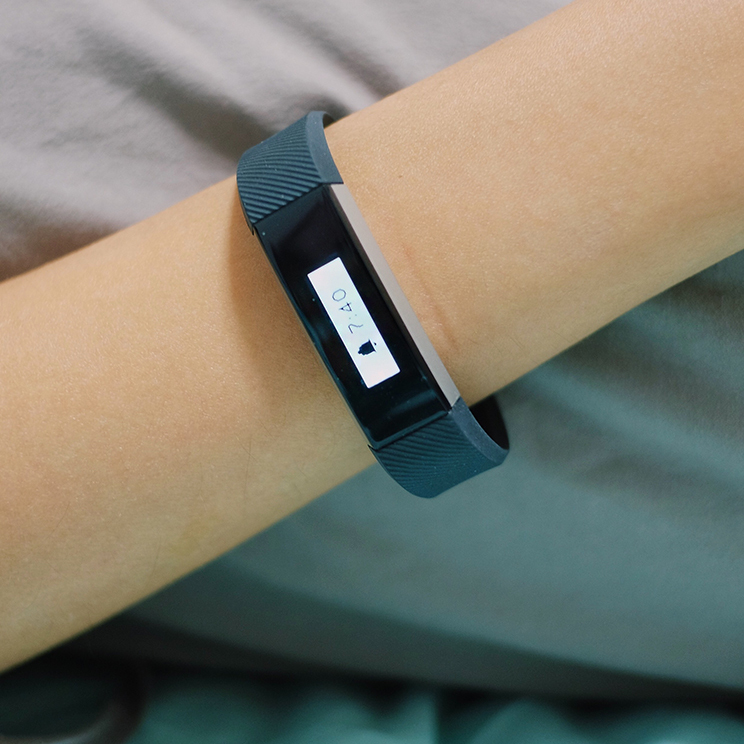 For those of you who haven't heard of the Fitbit, it is a fitness wristband that helps people lead healthier and more active lives by empowering them with data, inspiration & guidance to reach their goals. 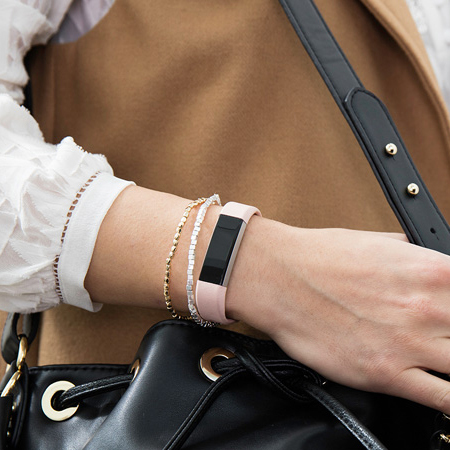 The Fitbit Alta is designed with a satin finish and stainless steel body. Black works best with my wardrobe! So sleek and slim, it can easily be passed off as a fashion accessory. I honestly would have thought this is a bracelet. Doubles up as a watch. A single charge can last about 5 days and each charge don't usually take more than 2 hours. It also features a line of stylish interchangeable bands in selected colours/materials. When I get bored of the Black strap, I can easily switch it up! Here's my Fitbit Alta sporting a Grey leather strap that is equally versatile and fashionable. It feels and look so luxurious. Dust Pink is also super pretty! These stats are synced using the bluetooth function and can be done on the go. SmartTrack automatically recognizes select exercises and automatically records them in my Fitbit app. I was in awe when I turned on my Fitbit app and see that it managed to record I just did aerobic exercise! I spend majority of my time in front of the desktop and I mostly commute to & fro work by car. The average number of steps I took last week is ~4500 as compared to an average of ~5900 this week. There is a significant increase in the number of steps I take daily because I've been tracking my steps - I find myself opting for the stairs more often now instead of using the lift. I also find the messages to remind me to move very effective. It sends me a nudge whenever I'm inactive (Desk-bound or watching TV at home) for too long so I'll take the opportunity to go for a toilet/water break. Long periods of sitting down can be detrimental to our health. 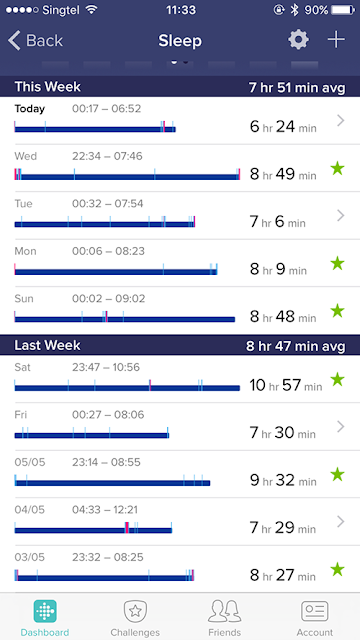 One of my favourite functions of the Fitbit Alta is its auto sleep tracking and silent alarm function that vibrates until I tap on it twice. I will sometimes miss my ringing alarm but with this, I don't think I'll oversleep again. You are not limited to one alarm so you can actually use it for important appointments too! This is a screenshot of my sleep pattern. My goal is to have 8 hours of sleep daily and I think I'm doing pretty alright. Some days when I don't achieve my goal, I'll tell myself to go to bed earlier so you'll notice an improvement in my sleep the next daycan. 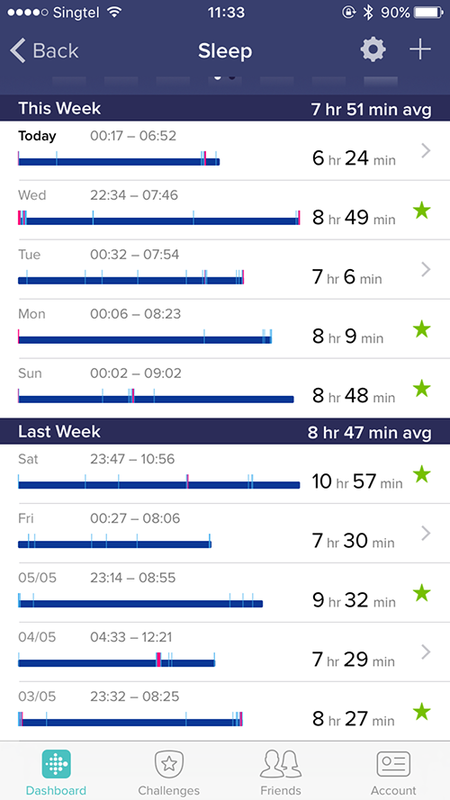 The Fitbit Alta has slowly become a part of my lifestyle and I regret not getting it sooner!